THE FUTURE OF TOMORROW’S TV TECHNOLOGY IS HERE! 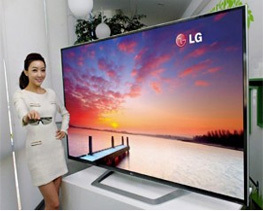 LG has made a humongous leap in design by introducing the World’s First Curved OLED TV. Inspired by nature’s love for curves, LG Curved OLED TV is all set to take you straight into the future! Defeating the earlier design constrains, LG Curved OLED TV naturally fits the curvature of human eyes giving a spectacular visual delight. The curved screen of LG OLED TV is designed for the most immersive experience with deeper, richer colors and infinite contrast ratio. Why OLED is the future? OLED stands for Organic Light Emitting Diode, which is made of organic compound having a special character to convert electricity into light. Unlike ordinary LED TVs, the self-illuminated pixels don’t require a common lamp. 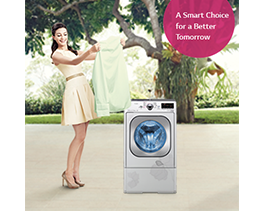 As a result, there’s no distortion of images even at the edges, producing completely blur-free, crisp visual. Taking a giant step ahead of conventional display, LG’s 4 Color Pixel Technology adds a white sub-pixel which modifies the conventional 3 colors and enhances both color range and accuracy. The independently lighted pixels create infinite contrast giving true depth and tone to images. 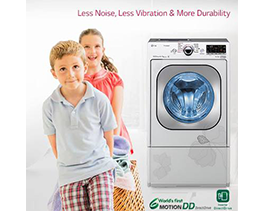 While the Absolute Motion Clarity produces completely blur-free, crystal-clear pictures even in fast moving scenes with over 100 times faster than LED TV. The Curved screen naturally fits human vision range providing equal distance from all parts of the screen to the eyes. 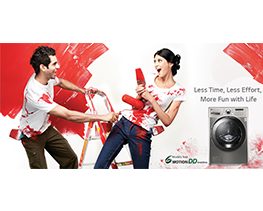 With no distortion on screen, it gives you the most immersive experience. The LG Curved OLED TV brings 3D entertainment to its zenith. Simply point, draws, speak, and share with innovative Magic remote and enjoy smart entertainment. 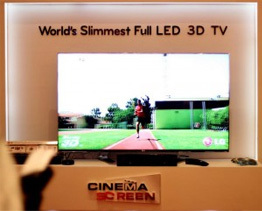 The World’s First Curved OLED TV is also the world’s slimmest. The seamless finishing is powered by premium grade carbon fiber, used mainly for aircraft and super cars. 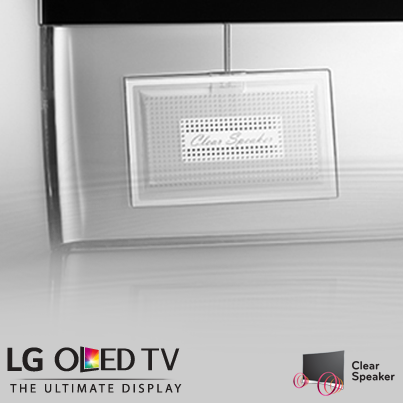 LG’s Clear Speakers offer high quality sound to match the ultimate picture quality of OLED TV. The two channel speaker system consists of thin ceramic film speakers that produce elegant sound. The design innovation further translates into a transparent Crystal Stand, creating a delightful illusion of a floating screen while the smart touch control hidden under the screen adds elegance. So if you’re an admirer of nature’s beauty and LG’s innovation, LG Curved OLED TV is something that will always be cherished as another of your ‘first-times’. When it’s all possible, life’s good! Quality content is the key to attract the users to visit the web site, that’s what this web site is providing.